Zubaan music can get tiring for the listener, feels Aelina Kapoor. Since Zubaan, starring Masaan actor Vickey Kaushal and Sarah Jain Dias, is a musical, its long soundtrack of 14 songs is justifiable. Yet, it can get tiring for the listener. The music has been composed by Ashu Phatak with contributions from Ishq Bector, Shree D and Manraj Patar (who have composed one song apiece). Varun Grover, Ashu Phatak, Baba Bulleh Shah and Surjit Patartoo share the lyrical credits. The album opens with a catchy, electrifying number called Music is my Heart, sung by Rachel Verghese, and her vocals suit the mood of the song perfectly. Yes, the song has been ‘inspired’ from Justin Bieber's music and it's worth a listen. The same holds true for the next track, Ajj Saanu O Mileya, which despite an overdose of Punjabi lyrics is highly recommended. Ashu Phatak's music and Mandar Deshpande's voice is a perfect mix. Rachel Verghese joins the duo as well. Ashu Phatak comes up with thumping sounds for the title track Dhruvtara (Dhoop Ki Zubaan), especially in the chorus, which works wonderfully. The Punjabi essence is captured really well. Keerthi Sagathia and Rachel Verghese do wonders behind the mike. Ashu Phatak comes up again with Kori Pukaar, once again recommended for its rousing arrangement and gives an anthem feel to the track. Some spirited singing by Rachel Verghese and Mandar Deshpande is reason enough for this track to warrant repeated hearings. Baba Bulleh Shah’s verses get translated into an Unplugged-like number in Bhaven Tu Jaan but it's quite boring. With mainly just a guitar for company, Manraj Patar drones on for nearly four minutes by which listeners have totally lost interest. Guest composers Ishq Bector and Shree D compose Tu Hai Tera Khuda. It is a youthful track with some sane advice for youngsters. Apeksha Dandekar and Keerthi Sagathia do a satisfactory job with the rendition but it's not enough for the song to deserve a repeat hearing. The album gets worse with the next few tracks. They sound very similar, and it is difficult to distinguish between them. Manraj Patar composes and sings Kadi Aa Mil Yaar Pyareya, and takes the unplugged route for Baba Bulleh Shah’s verses but with absolutely no impact whatsoever. Ashu Phatak, who gave us some really good music earlier in the album, comes up with a sad devotional track called Lakh Khushiyaan, and it is a tedious listen. Bhai Maninder Jeet Singh drones on and on and literally puts the listener to sleep. Composer Ashu Phatak’s other devotional track Jiske Sir UparTu Swami is slightly better and the credit should surely go to the singer, Minu Bakshi. The lady has an earthy and soothing voice, which goes well with the devotional mood. It's a decent listen. Mittar Pyaar Nu appears twice in the album with Mandar Deshpande singing the male version and Saawan Jaryal lending his voice for the child's version. Again, an unplugged-like arrangement with the focus on the singers, Ashu Phatak comes up with a soft number which unfortunately despite its soothing feel does not manage to strike a chord with the listener. Bhai Maninder Jeet Singh is slightly better in his second track Jo Maange Thakur which is yet again a devotional number but that’s all there is to it. With absolutely no recall value, one wonders what Composer Ashu Phatak was thinking when he came up with such similar sounding numbers! Bhai Maninder Jeet Singh drones once again in his third track in the album, Tu Mera Pita composed by Ashu Phatak. As far as composition goes, the lesser said about it, the better it is for everyone! Avoid! Minu Bakshi tries to rescue the album with the final track, Ek Onkar. Ashu Phatak's arrangement is also much better in this one but the impact is only minimal. 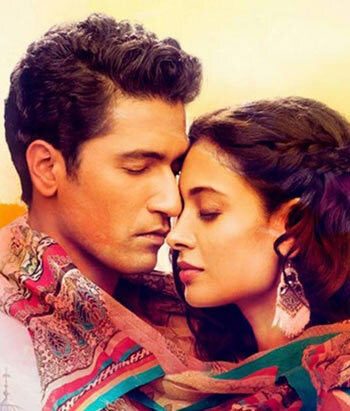 To sum up, the soundtrack of Zubaan showed much promise initially but lets the listener down big time.